A unique front bumper design1 gives the exterior a sportier feel. Adding to the vehicle’s undoubted presence, Narvik Black features include the unique mesh grille, fender vents, Discovery bonnet and tailgate script. On the interior, contrast micropiping and Titanium mesh finishers add to the impact of the three Windsor leather colourway choices. For a striking effect, Discovery can be personalised with the optional Black Design Pack2 on SE, HSE and HSE Luxury models. The Black Design Pack includes a Narvik Black grille, fender vents and mirror caps, with Black Discovery bonnet and tailgate script. 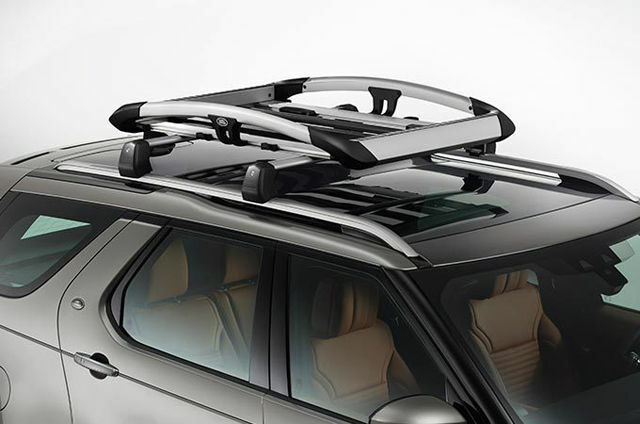 This pack3 enhances chassis performance and driving dynamics through a range of features. Adaptive Dynamics provides the optimum balance of ride and control by providing infinitely variable damper settings. 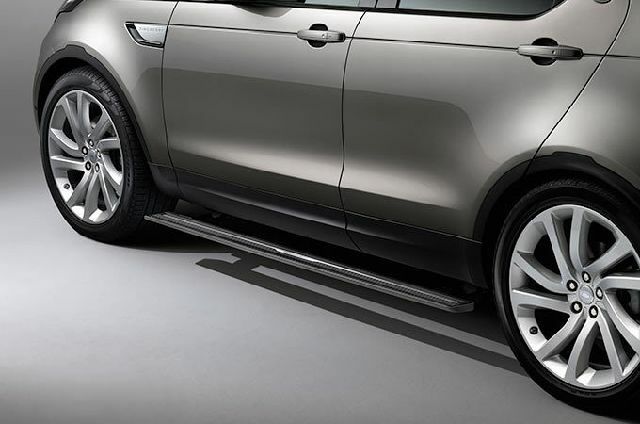 Together with electronic air suspension they deliver a more controlled, composed ride. Whilst 21” wheels with summer tyres, 20" brakes and a single speed transfer box optimise the on-road experience. 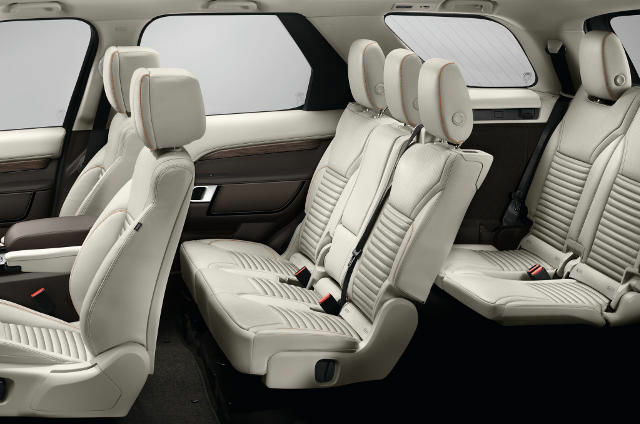 The optional sliding electric panoramic4 or fixed panoramic roof enhances the sense of space in the vehicle’s interior and floods it with natural light, benefitting all three rows where specified. The toughened glass has a dark tint to maintain a comfortable temperature inside the cabin. Discovery takes towing to a new level. 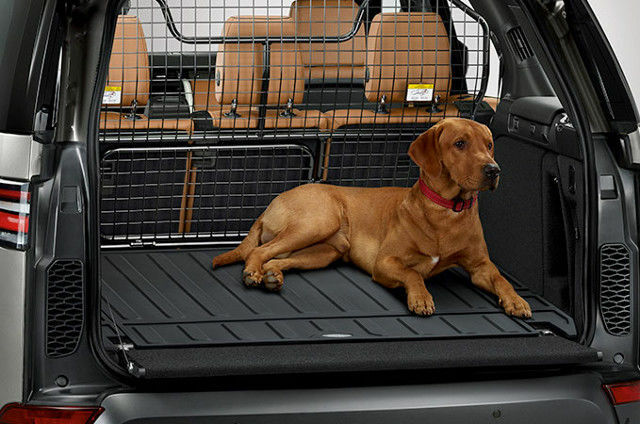 With a towing capacity of up to 3.500kg5, its capabilities are significantly higher than others. Available features include an electrically deployable tow bar, hitch and load assist and a nose load measurement system that helps you measure the payload with greater confidence. Cleverly designed LED lights have been developed to wrap-around the side of the vehicle. This enables the indicators to be more visible, and improves safety. Adaptive LED headlights combine practicality with distinctive design. For more relaxed night-time driving, adaptive lighting varies the light cast ahead of the vehicle so that the beams follow the curve of the road. 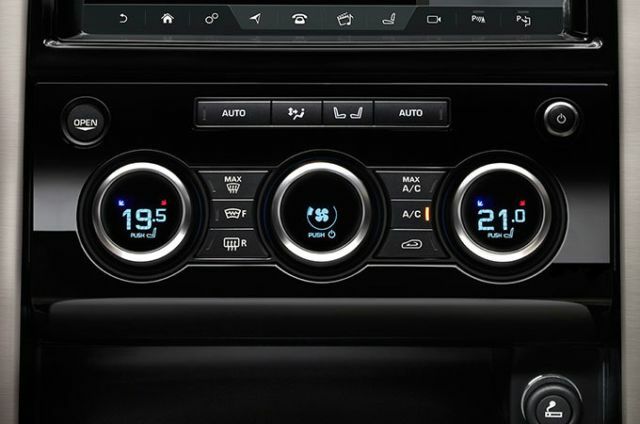 Discovery brings you the latest innovations, performance and capability features enabling you to get the most from your vehicle. 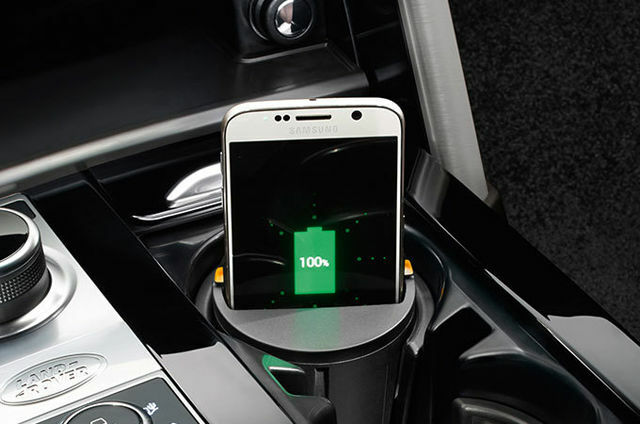 Providing visibility of your iPhone®6 whilst charging. 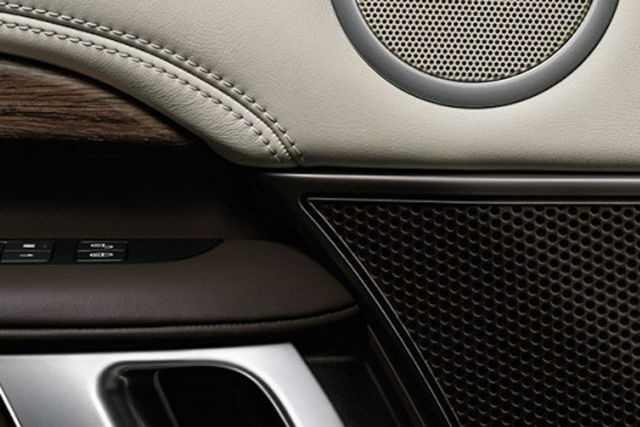 When connected, your media is accessible and controllable through the in-car infotainment system. 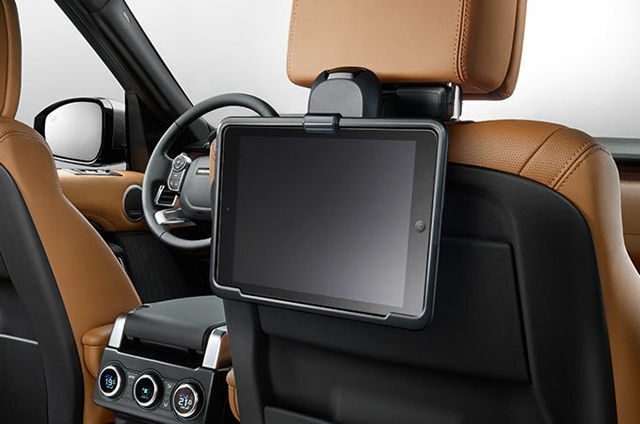 iPhone® Connect6 and Charge Dock utilises the central console cupholder space and is compatible with iPhone®6 5 and later models. 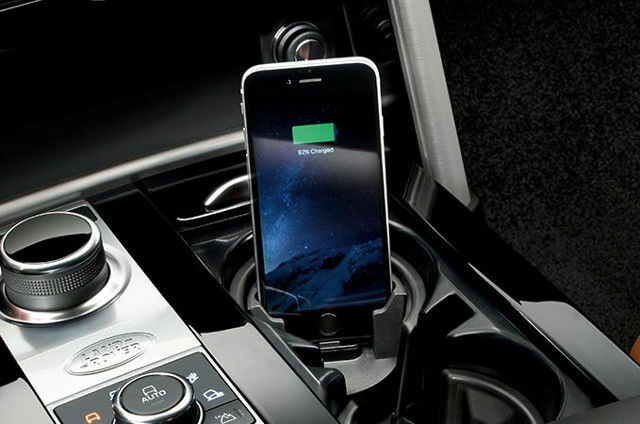 The iPhone®6 connect and charge dock and wireless phone charging cupholder7 utilise the central console cupholder space for visibility of the phone whilst charging. Dock compatible with iPhone®6 models using the Apple Lightning connector. 4 Standard on HSE Luxury. 6 iPhone® is a registered trademark of Apple Inc., registered in the US and other countries.